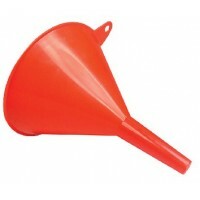 A multi-purpose two-piece funnel with 12" detachable flexible spout. 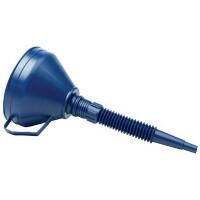 The funnel includes an easy gri.. 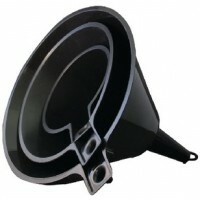 Fabricated of light-weight polyethylene. Available in short rigid or long flexible styles. 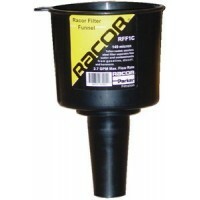 Allows ac..
PTFE-coated stainless steel filter separates water and dirt from gasoline, diesel and mixed 2-cycle .. 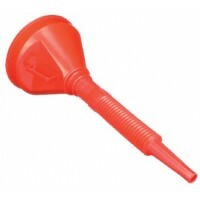 Durable plastic construction for years of use; can be easily cleaned. Hang tabs and deep spouts make..